Yunomi has provided me with Echigo Boucha for the purposes of providing an honest review. Yunomi was very kind to send me some Echigo Boucha, which is an interesting Japanese green tea blend that I haven’t experienced before. 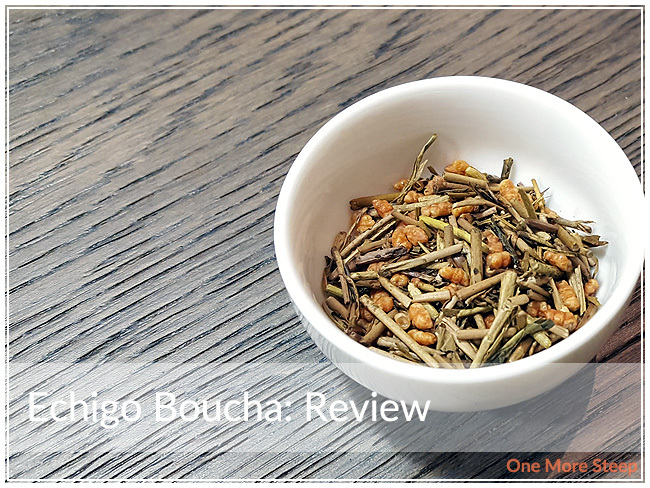 Echigo Boucha consists of toasted brown rice and roasted tea leaf stems that are aged in a building that’s kept at lower temperatures with snow. Say what? At first sniff when I opened up the resealable bag, I thought it smelled a lot like a genmaicha (which is roasted rice with green tea leaves), but Echigo Boucha has a much deeper aroma than genmaicha, with a light smokey quality to it to the aroma of the dry leaf that highlights the toasted rice smells. From Yunomi, I learned that toasted rice is genmai and the Japanese for the roasted tea leaf stems is kuki hojicha. One thing I love about exploring different teas is the exposure to different cultures and languages. Yunomi recommends steeping Echigo Boucha in 90°C (194°F) water for 60 seconds (1 minute). TEA TIP If you’re finding it difficult to keep track of time when you’re steeping your tea, you can always set a timer on your phone! I use my phone constantly to keep track of my tea so I don’t oversteep it. This is particularly handy if you’re doing a longer steep (5+ minutes) in case you’re easily distracted. Echigo Boucha steeps to a deeper colour that I’m used to from a green tea, it’s a golden colour that’s almost brown. I would describe the aroma from this tea as being a mix of nutty, rice cakes, and just a touch of smokiness. The flavour of this tea is initially a touch astringent, which gives way to a pleasant sweetness. There are some nutty qualities in the flavour profile of Echigo Boucha that plays nicely with the flavour of rice cakes. 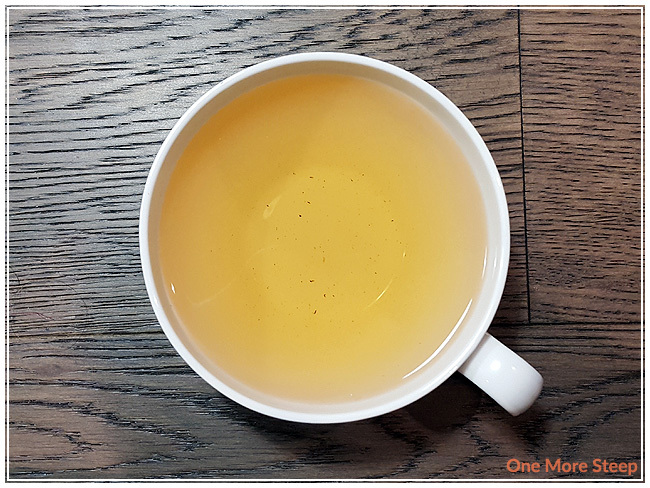 Surprisingly, the smokiness in the aroma of the tea isn’t that present in the flavour of the tea – for me this is a plus as I tend to not enjoy smoked teas as much so I was happy that it faded to the background. Yunomi suggests that Echigo Boucha can be resteeped three times, which of course meant that I had to push the envelope and resteep it four times. I added an additional 30 seconds per resteep, and found that the tea got sweeter as I resteeped it. 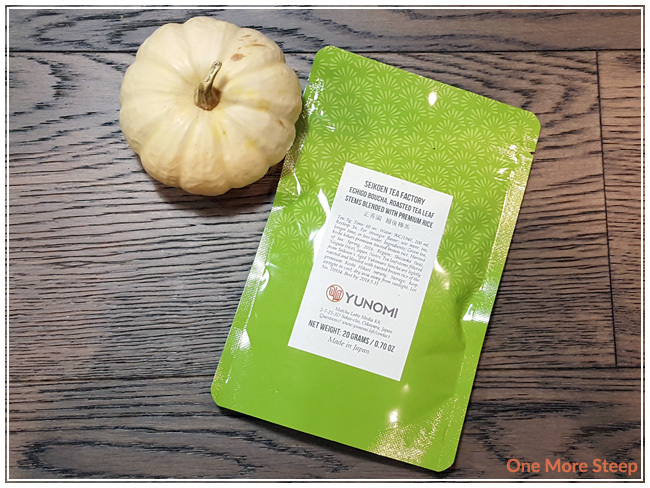 The flavours of nuttiness and rice cakes became stronger in the first and second resteeps, while the astringency took a backseat as the tea became sweeter. 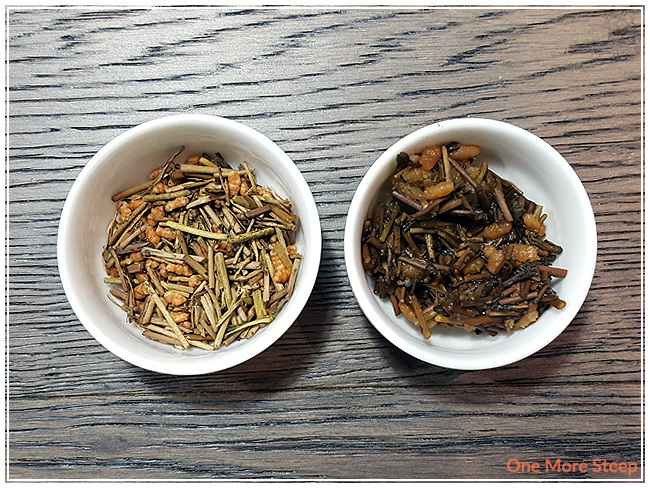 I found that the third resteep was quite a bit weak, while the fourth was barely palatable. Yunomi knew what they were doing when they suggested three resteeps. I loved Yunomi’s Echigo Boucha. It was a great experience to try this green tea made up of tea leaf stems! The toasted brown rice added to the flavours of nuttiness and rice cakes, which was quite pleasant. I really enjoyed how this tea resteeped and how the astringency faded into the background as the tea got sweeter. I think it’d be a great tea to be paired with a dessert, given the light sweetness of this green tea. 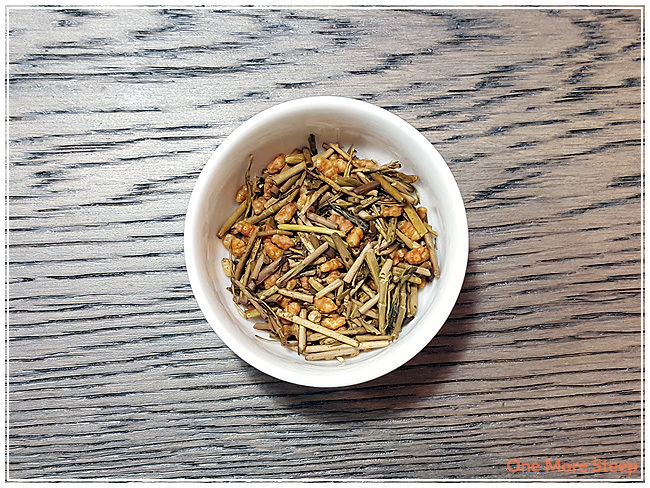 If you like genmaicha, I think you might also like this toasted rice tea as well since it has many of the same qualities (and the smokiness doesn’t transfer over in the flavour).